Recently, I got approved for enrollment in both TSA PreCheck and Global Entry. If you’re not sure what these programs are, they relate to airport security. Frequent fliers often register for them so if you fall into this category, consider getting which one applies to you. Or both. Mainly, they are expedited security screening programs for traveling within or out of the U.S. I’m sure you’re familiar with waiting your turn to go through the security detectors, taking off your shoes, belt, and coat, pulling out your laptop and your clear bag of 3-1-1 compliant toiletries, and putting them all through the scanner. TSA PreCheck and Global Entry changes this scenario. If you’re considered to be a low risk flier – i.e., no questionable background or history – and fit with certain citizenship requirements, being a member in these programs eliminates these necessities. And, in most cases, you avoid a lengthy wait. You still have to go through security, but usually in a different line, and you don’t need to do all the required clothing/luggage removals. TSA PreCheck is for fliers that meet certain citizenship requirements and departing from the U.S. and is valid for five years. To apply for the program, you can either do so on online or through scheduling an in-person appointment. There’s also a third option of going straight to an application center, but your chances of that happening depend on how busy the day is. I lucked out at JFK with a walk-in appointment, but that’s probably because the TSA security checkpoint was surprisingly quiet. Plus I tend to go to the airport early. Screening appointments can run behind, so you want to make sure you allow enough time to avoid stressing out about making your flight. Mine lasted maybe 30 minutes or so. Also, at your appointment, you need to have certain paperwork on you like your driver’s license or passport and other requirements. There is an $85 non-refundable processing fee as well. 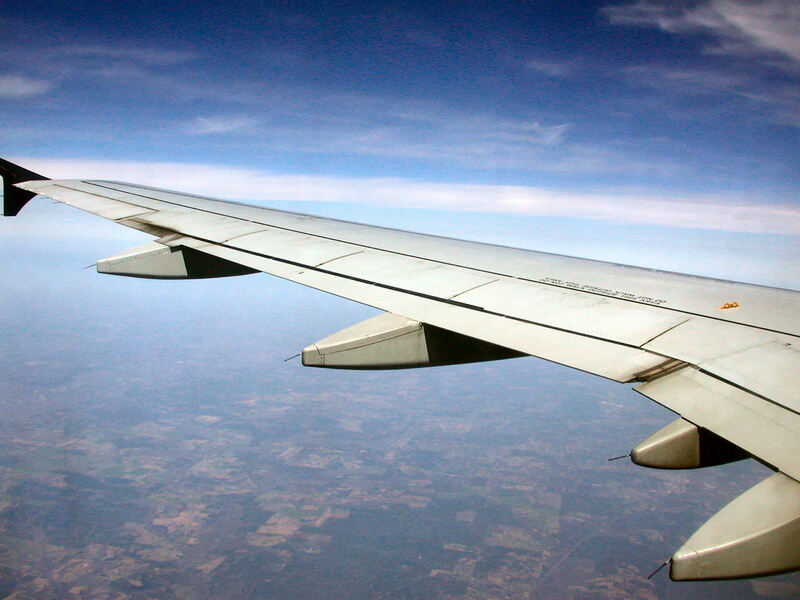 Upon approval, you’re assigned what’s called a Known Traveler Number (KTN) that you give when buying a plane ticket. (Currently, most major carriers and airports participate in TSA PreCheck. Check online for confirmation). Your KTN will appear on your boarding pass. Although you can save your KTN to your frequent flier account, it’s best to type it in every time to be certain it’s correctly placed in the system. Plus, be sure your name is exactly listed on your ticket as it is for your TSAPrecheck (for example if you go by your full name, it has to match), as a slight difference can cause a slight problem. Global Entry involves admittance into the U.S. and extends to other different citizenship requirements. When coming back in and going through customs, you often would head to what’s called a Global Entry kiosk, to process your passport and have your fingerprints scanned for identification. Plus, at the kiosk, you fill out a customs declaration. Applying is done online only. You have to create an account through what’s called the Global Online Enrollment System or GOES. Through your account, your application will require certain personal information, so be thorough when filling out the requirements. You also pay a $100 non-returnable application fee. Another Global Entry member bonus is that you will be eligible for getting TSA PreCheck. (Editor’s note: I didn’t know this information beforehand. If I did, I would have applied for Global Entry first. Oh well). Like its counterpart, Global Entry approval lasts five years. Either way, having membership in both programs helps if you’re a serious traveler. But the choice is up to you. Learn more about them plus other options here. This entry was posted in Delta, Resources, Travel Advice and tagged applying for Global Entry, applying for TSA PreCheck, Global Entry, TSA PreCheck on January 20, 2016 by She Is Going Places. This year I got to branch out more as a traveler and a travel writer. I also learned a few new lessons for myself. Here are three of them. There’s a lot to see in your home country – more than you realize. As someone who tries to get to as many “must-see before I die” international destinations as I can, I find it’s easier to forget that my native United States has many unique finds. An April visit to Carmel-by-the-Sea introduced me to its quirky history – no stoplights or street signs – and souvenirs like a permit to wear high heels. During summertime, I got to experience artistic and culinary growth in Detroit, where a relationship between old buildings and new purposes seems to be bridging together nicely. Cheyenne showed me more about what life was and is like on the Western frontier, and how rodeo remains its legacy. And Reno has its charms too. 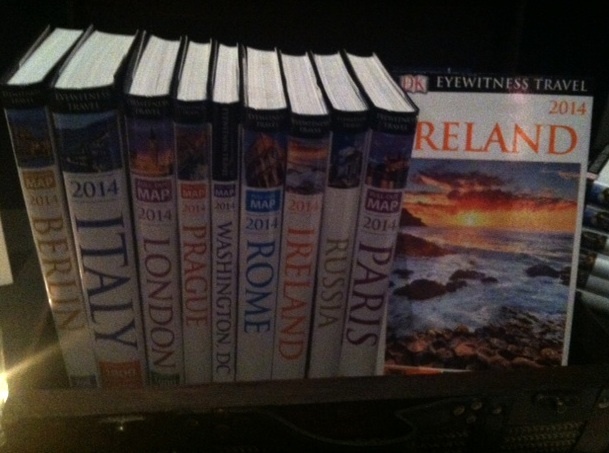 So hopefully in 2016 I’ll do some more sightseeing of the U.S. of A. Expand your travel options. It’s easy to consider just one option for getting from A to B, but consider looking at alternative methods of everything from transportation to dates to make traveling more efficient. With the hope that I’ll be doing more flying in the future, I decided to sign up for TSA’s Pre-Check and applied for enrolling in TSA’s Global Entry. They are security clearance programs in which once you complete a background screening, you’ll be given a special traveler’s number that you’ll be associated with you. It means you go through a different airport security line in which your screening will be conducted separately. The same goes for driving. Also as someone that tends to avoid being behind a wheel on trips, especially on my own, I made a stride in changing that by heading to Maine last November. Learn more by doing. There’s no other time that I could think of which gives people the opportunity to travel more with websites, apps, forums and other resources providing tips and deals. The same goes with travel writing. Whether you want to post about your travels as a diary, or develop your skills as a blogger, there are hosting sites that can give you the knowledge to gradually develop your site. It does take time to flourish – I’ve been at if for three years as a blogger, close to 20 as a professional writer – but either way you’ll learn a lot. Even if you don’t make a living from travel media, you learn about self-promotion, marketing, social media, SEO, and networking. Starting out? Don’t be alone. I suggest connecting with travel-minded Meetup and Facebook groups and signing up for Travel Massive, a global networking exchange of individuals connected to the travel sector. This entry was posted in Air Travel, Personal Interests, Resources and tagged travel blogging, travel in 2015, travel lessons on December 18, 2015 by She Is Going Places. To tweak an old saying, travel pictures are worth a thousand words. As mobile and digital platforms are providing more visual appeal for travelers, guidebooks must adapt to meet their readers’ evolving needs. The latest DK Eyewitness Travel Guides are doing just that. 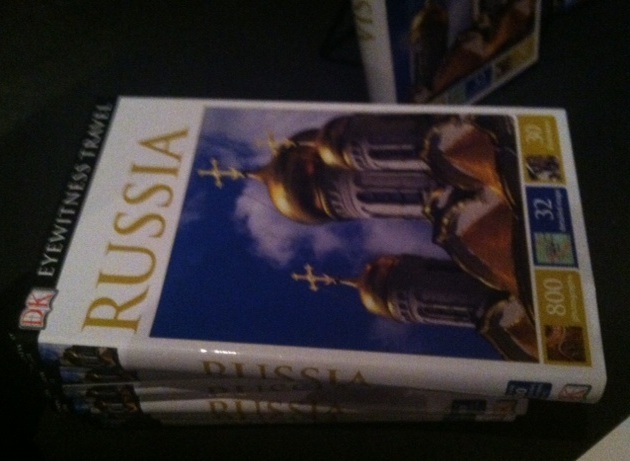 On Tuesday night, at City Winery in New York City, DK Publishing marked the series’ 20th anniversary by unveiling 10 bestselling titles, updated for 2014, and new first-ever edition on Russia. 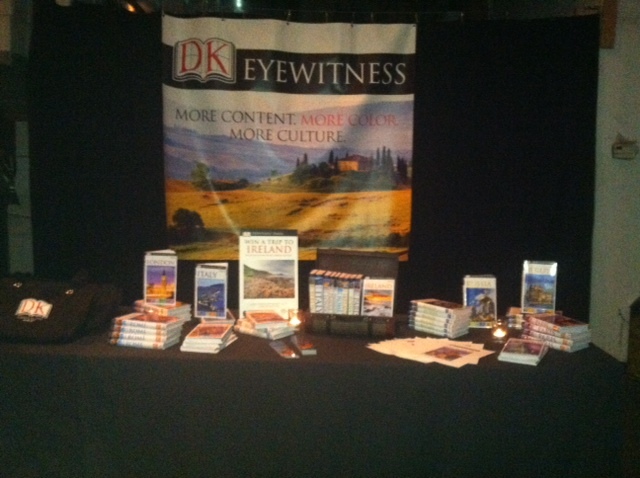 The event also marked the company’s redesign relaunch for all their travel guidebooks. These changes consist of a new look for the jacket and clearer details on the inside pages. – New itineraries based on length of stay, regional destinations, or theme. City and country guides also have extended itineraries. – Listings underwent major changes with descriptions for hotels and restaurants, with simplified categories for prices and cuisine. – Overall, maps become more readable, with new bullets, colors and symbols. 2014 titles currently available include Berlin, New York City, Washington, D.C., Paris, Prague, London, Italy, San Francisco, and Rome. Also coinciding with current events, an updated guide to Ireland is released in timing with The Gathering Ireland 2013, a yearlong festival celebrating all things Irish. Future release dates for 2014 series will pick up again in January and continue on through the end of next year. This entry was posted in Guidebooks, New York, New York City, Resources and tagged City Winery, DK Eyewitness Guides, DK Publishing, The Gathering Ireland 2013 on September 18, 2013 by She Is Going Places.